Ethernet (ETH) version provides two Ethernet ports supporting PROFINET, EtherNet/IP and EtherCat. Direct control of weighing applications for manufacturing processes. 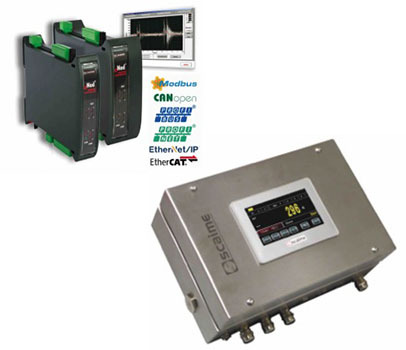 The eNod4 weighing controllers integrate comprehensive and high-performance application functions. These easily configurable solutions cover the entire supply chain.